Making summary report and submit to management after comeback from the field. 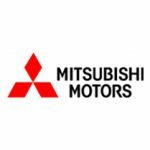 Mitsubishi Motors (Thailand) Co., Ltd. (MMTh) is the leading automotive manufacturer and exporter of Mitsubishi passenger cars and pick-up trucks. Head office building, located at FYI Center (Klongtoey), and factories, located at Leam Chabang industrial estate. We are the highest exporter of Thailand to global market under the concept "one factory for the world". Working together for highest is our core value to create high quality of products, to achieve customer satisfaction and to make contributions to the country and society. We are strengthening our operations through implementing restructuring and global turnaround strategies.